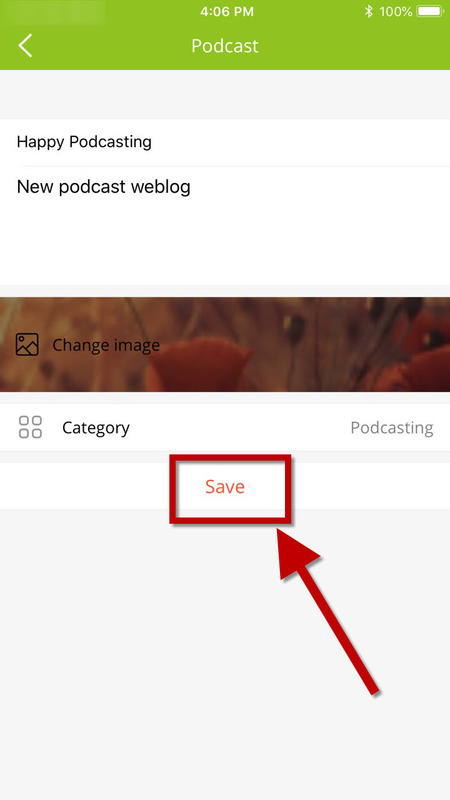 You can make a podcast on the Podbean app in a few minutes by following these simple steps. 1. After logging the app. 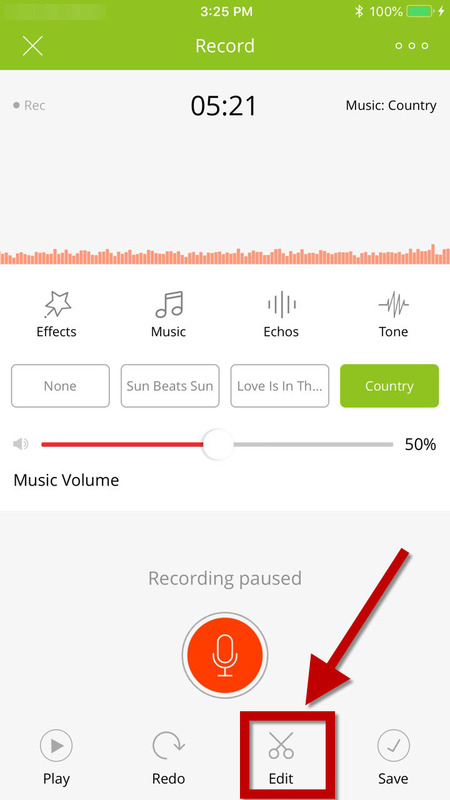 Enter the recording page by clicking the red “Record” button on the home page. 2. 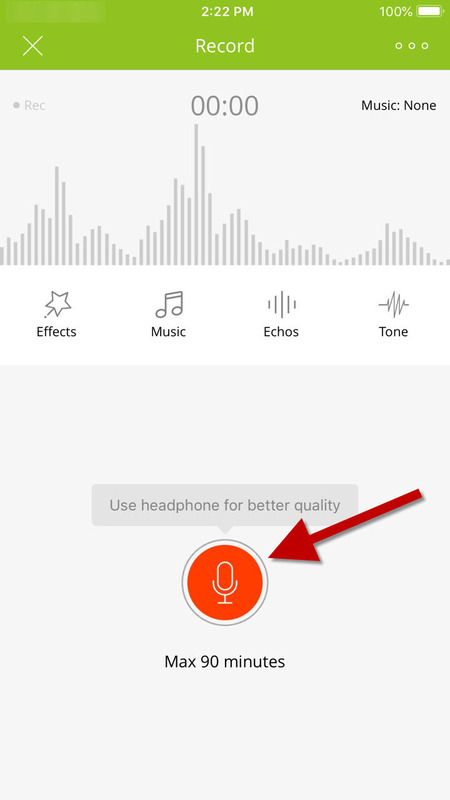 Click on the red Record button (microphone icon) to start recording. 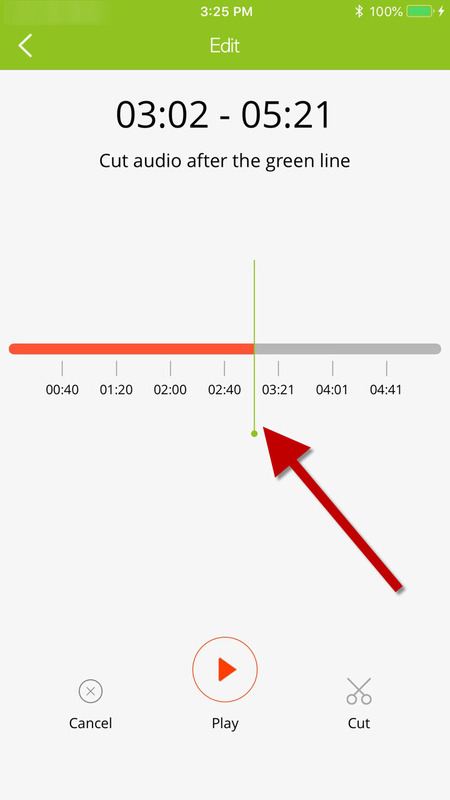 You can tap to pause and resume at any time. 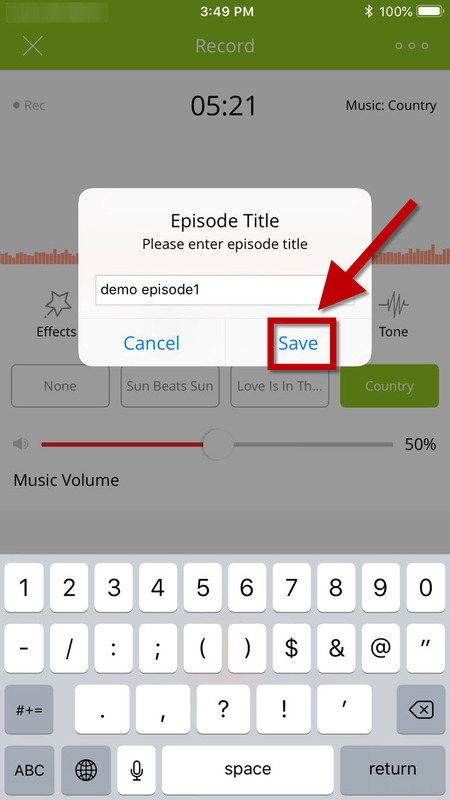 You can also hit the Play icon on the screen to listen to what you’ve recorded so far or hit the Redo icon to delete. 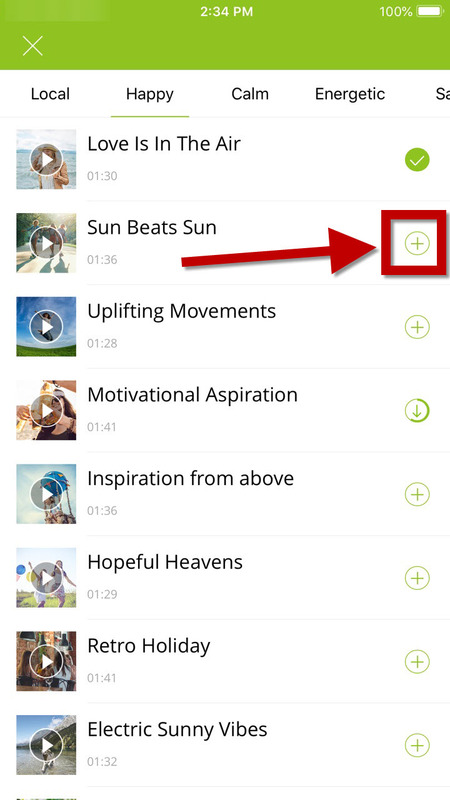 (Optional) Background music: Tap Music icon then select music you like. 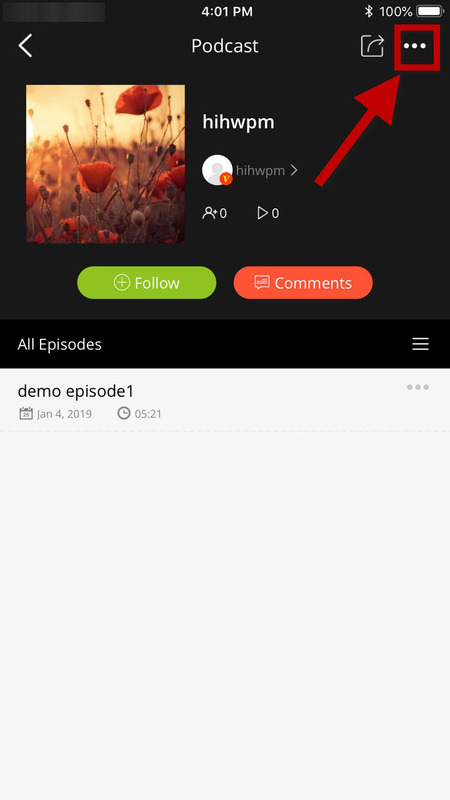 Tap + button to download them. 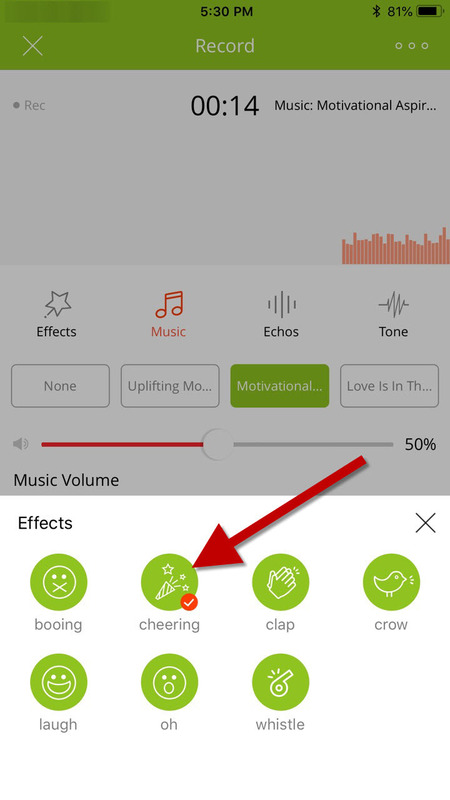 (Optional) Effects:Tap Effects icon then select effects you want to use. 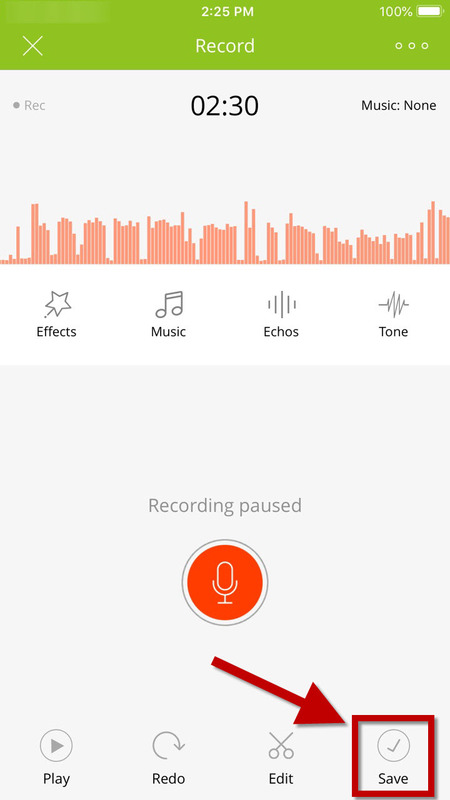 (Optional) Edit: Tap Edit icon then move the green line to cut the audio after green line. 3. After hitting Save, you will be taken to the “My Drafts” page. 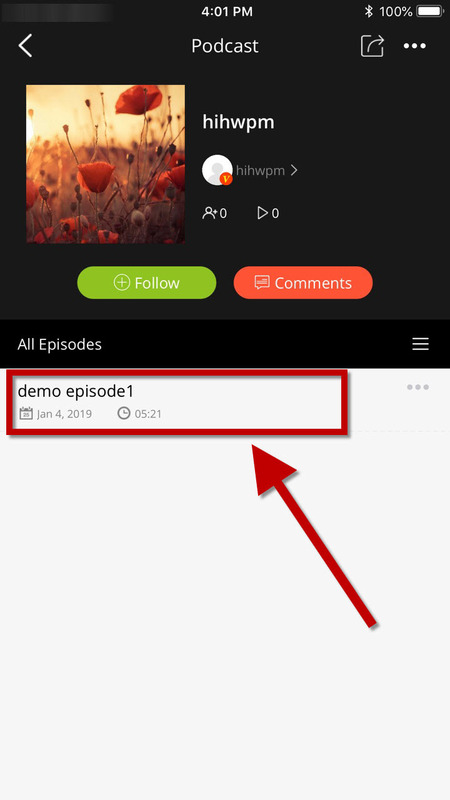 4.Tap the upload icon and you will go to the episode publishing screen, where you will need to add an episode title (five characters minimum), and can add an episode description and optional image. 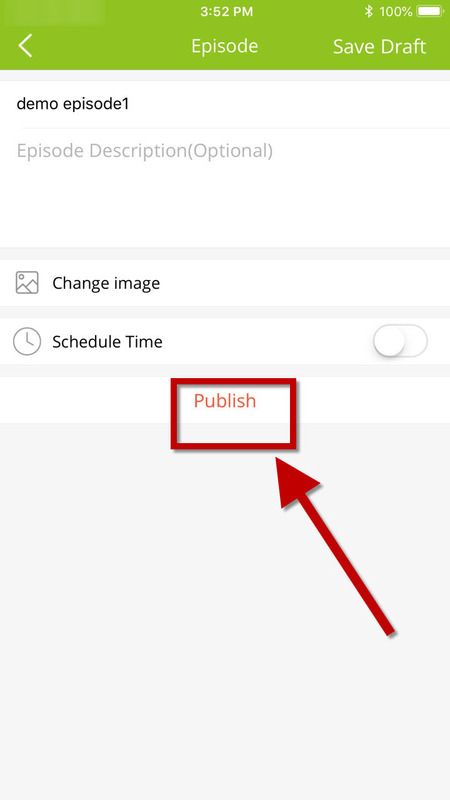 Click “Publish” when you’re ready, or “Save Draft” (top corner)*. 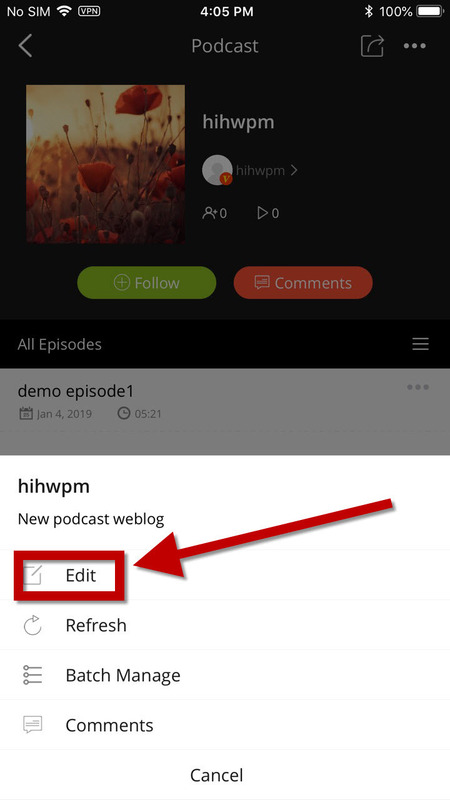 Please check this FAQ on how to merge drafts and this FAQ on how to split draft.